The album - released by Island in the UK - was announced during the first episode of Minaj’s ‘Queen Radio’ on Beats 1, and features Eminem alongside labelmates Ariana Grande and The Weeknd. 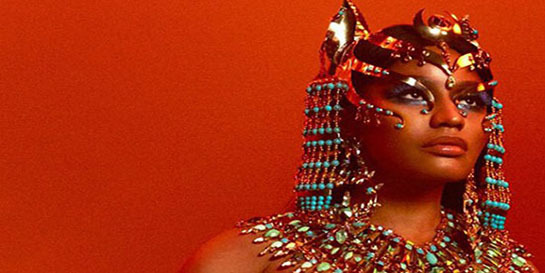 Island’s campaign has centred on an exceptionally eye-catching creative showcased both outdoor and online, as well as on TV - the official video for the album’s opening track Ganja Burns recreates the album cover art, featuring the rapper dressed like Cleopatra. The album has been well received by the UK press, with the Independent describing the release in its four star review as “the most important album of her career so far”. Minaj kicks her off her world tour next week and will head to the UK in March for shows in London, Birmingham, Manchester and Glasgow.